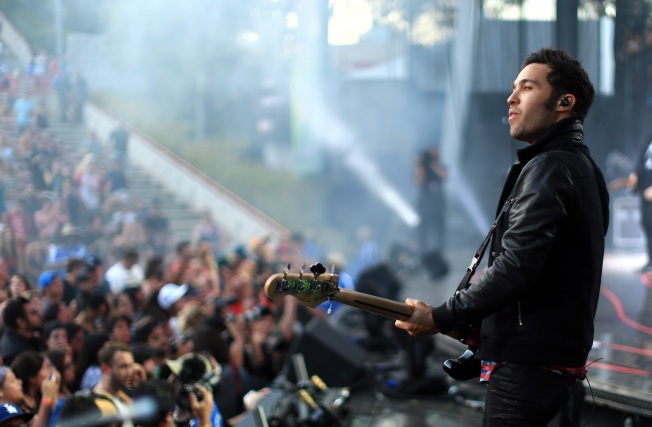 Fans of Chicago sports have become intimately familiar with the band Fall Out Boy over the past few years, and they’ll have yet another chance to hear the band perform as they will play three songs before the Chicago Cubs’ home opener against the St. Louis Cardinals on April 5. The group has become a fixture on the Chicago sports scene in recent years, putting their own spin on the Chicago Bulls’ rally tune “Only the Bulls” and had their song “My Songs Know What You Did in the Dark” become the unofficial anthem of the Chicago Blackhawks’ 2013 Stanley Cup championship, as NBC played the song for NHL promos during that playoff run. The band’s performance at Wrigley Field will feature three songs, including the tune “Centuries,” which will be aired to a national TV audience on ESPN before the game gets underway. Gates for the game will open slightly earlier than usual, with fans allowed to enter the park at 4:30 p.m. instead of the usual 5:05 p.m. entry time for night games.